Yes, our blogs are way behind again. We will get them caught up someday, but at the moment we are so busy keeping ourselves and the truck alive and experiencing this amazing part of the World that we have traveled so far to see. 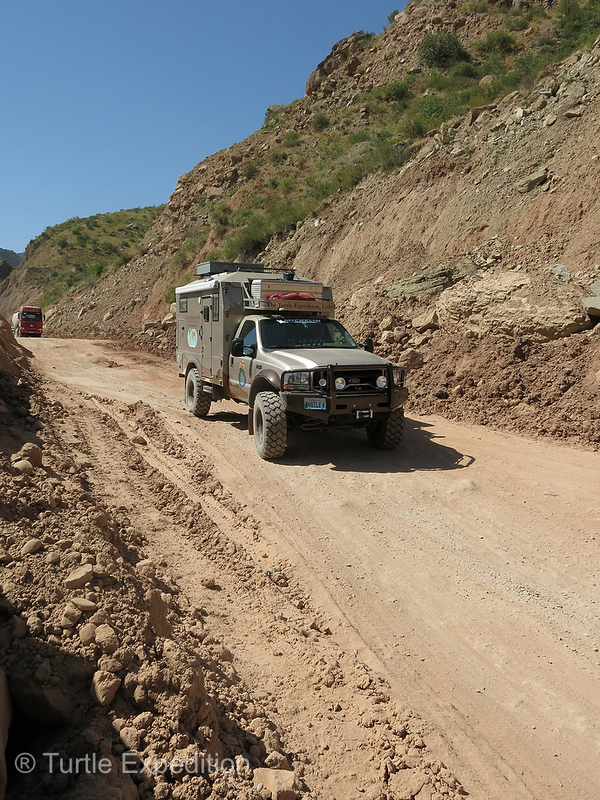 We made our way across Azerbaijan, Turkmenistan, Uzbekistan and finally to the country of Tajikistan. Internet connections are frustratingly difficult. We are in Khorog, Tajikistan and today, we’ll be starting to drive the famous Wakhan Corridor along the Afghan border where Marco Polo traveled along the Silk Road.